Are you tired of suffering with the relentless symptoms of IBS, migraines or fibromyalgia pain? Food Sensitivity Testing can help. MRT (Mediator Release Test) is the blood test component that measures the inflammatory reaction to 170 foods and chemicals. LEAP (Lifestyle, Eating, And Performance) is the process of using these results to treat unwanted symptoms using a personalized elimination diet based on your specific blood results. Your CLT (Certified LEAP Therapist) will guide you through your results in order to greatly reduce or eliminate the unpleasant symptoms you may be suffering with. If you suffer from any of these conditions our Food Sensitivity Testing program may finally give you the answers and a solution to your problems. The MRT will identify the foods that cause reactions for YOU. It is done with a simple blood test and results are available in 10-14 days. Your results will show the reaction levels for 30 chemicals and 140 foods. 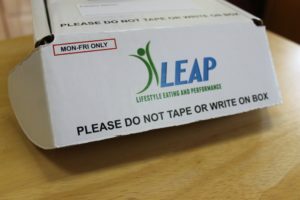 View a MRT/LEAP Food Sensitivity Sample Report to get a sense of what foods and chemicals are tested, your results will completely unique to you. With the help of the testing we will start you eating your least reactive foods and about 80% of people will have their symptoms greatly reduced. In time we continue to add foods back into your diet to get you back to the most variety possible with the exclusion of the foods that make you sick. Working through your food sensitivities can be overwhelming. Your CLT is your support during the whole process. Interpret the results with you and determine how best to implement the results. Age, lifestyle, relationship with food, cooking ability and experience will all impact how the results are used. Give recommendations on products and where to purchase them that fits within your LEAP diet. Meal planning with phase appropriate foods. Teach you new methods of meal prep and meal planning. Scrutinize food/symptom logs for links between foods and unwanted symptoms. Access to LEAP mentor and CLT community for ideas to further support you! Meet with your Registered Dietitian to evaluate if this testing is a good option for you! Join us on our monthly blood draw to get the blood work taken. We have a certified phlebotomist in our Greenbelt or Columbia office monthly. Your dietitian can schedule you for this at your initial appointment. Results typically come back to us within 10-12 days, our office will alert you when we have received them in order to follow up for an appointment to discuss your results. You will be given multiple copies and we urge you to share with your doctors! Follow-up nutrition counseling sessions in office or by phone (review of results and guidelines, meal and menu planning, grocery shopping, eating out). Get started today, fill out this Symptom Survey to access if food sensitivities are playing a role in the symptoms that you are experiencing. Contact us at 301-474-2499 to schedule an appointment with our certified food sensitivity specialists, or fill out the contact form to email us and get started on eliminating those debilitating symptoms!